Iranian Hide-n-seek with the EU on its Nuclear gameplan is a flashback to Hitler's game of using Flying Clubs to build the Luftwaffe? As the National Socialist Party came to power in the 1930s, Hitler did everything possible to encourage glider flying. As the Mullahs today are doing everything possible to encourage weaponization of nuclear technology in Iran. In Hitler's Germany, the funding for the program was subsidized through the efforts of brown-shirted storm troopers who "urged" German citizens to donate to "sport flying". As the Mullahs of Iran say that they need nuclear technology for their energy needs - in a country with ample oil reserves, - why do they need nuclear technology. Obviously to use it against Israel, Europe and the US. Hitler knew that it would be an easy matter to transform the skilled, young glider aviators into fighter and bomber pilots. 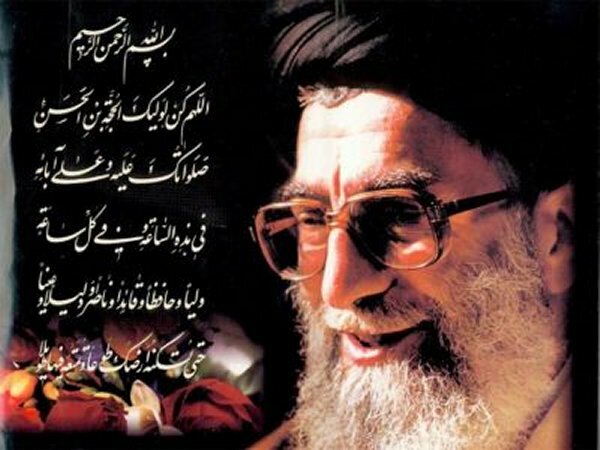 As the Mullahs know today that once they have enriched urniu, have the missiles tested out for their range and have other building blocks of nuclear technology in place, it would be a walkover to a nuclear weapons suite to blackmail and then attempt to destroy the civilized world. Do we see a chilling parallel between the events of the 1933- 1938 in Nazi Germany and those happening today in Iran? The way Hitler pulled wool over the eyes of the Western democracies, Iran is doing so with the European Union (EU), while the civilized world sits on a ticking bomb on whose trigger would be the finger of the blood-thirsty Mullahs who stormed our embassy in Tehran in 1979. Hitler also came close to his dream of developing nuclear weapons. The Nazis were developing carrier systems to reach the USA with their intercontinental 'Amerika-bomber', including the innovative Horten Ho XVIII. Nazi Germany was not only trying to develop nuclear weapons but actually tested atomic devices near the end of World War II. there was an operational nuclear reactor close to Berlin in 1944-45, and that Nazi physicists had drafted a patent for a plutonium bomb as early as 1941. The Third Reich was on the verge of winning the race to deploy the first nuclear weapon. But once we had a faint whiff of evidence of the Nazis attempts at design, testing and production of nuclear weapons, and their carrier systems, we struck out decisively, and bombed out all the heavy water and uranium enrichment facilities in the Third Reich some of which were located in Norway to keep them out of sight of the allied bombers. It was this action on the part of the allies, that put paid, Hitler's attempts to win WW2. Had we not done struck out at that time, the free world of today would have been not much different from Vichy France under Nazi occupation. What lessons can our history of checkmating and ultimately destroying Nazism, teach us in our battle with Islam today, when like Hitler, the Iranians are on the verge of making nuclear weapons with delivery system to bring mainland America within the range of their missiles in the not too distant future? The Iranians are using the same trick on the West again. If the West succumbs to this Iranian deception (Taqiya), we would be imperiling our future. If we could act decisively against the Nazis by bombing their nuclear facilities in Norway, what makes us drag our feet to act with the same decisiveness against the more pervasive if equally dangerous enemy - Islamism. Iran is the Nazi Germany of the war on terrorism and perhaps s far closer to making a cache of nuclear weapons with intercontinental delivery systems than the Nazis ever were. Time is running out for us. Can we take out the Iranian nuclear facilities before the nuclear Jihad reaches our shores and again stuns us as it did on 9/11, but now with a casualty figure hundred times higher than 9/11! America's survival is at stake, how strong are our survival instincts? Is anyone at the Oval Office listening?